JOSH WINDASS’ stunning strike on 68 minutes gave Rangers a deserved win in their first Florida Cup match at the Orlando City Stadium tonight. 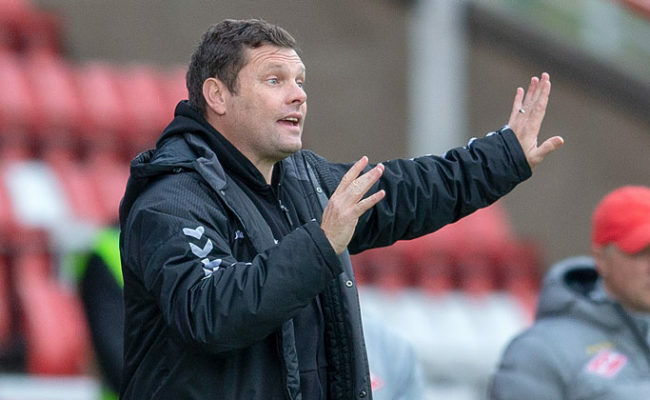 After a first half which finished goalless, manager Graeme Murty was able to make sweeping changes to his team at the interval and the introduction of Windass, in particular, proved pivotal as his pace, power and movement in the ‘number 10’ position caused all sorts of problems for Atlético’s defence. In general though this was an excellent workout for the Gers players who looked fit and sharp after their productive training camp at the IMG Academy in Bradenton this week. Murty named 19-year-old Aidan Wilson in the centre of defence for the start of this evening’s game with Dalcio featuring at left-back. 18-year-old Serge Atakayi also took up the right-wing position in the number 7 jersey. The big pre-match news of course was that new signings Jamie Murphy and Sean Goss were handed their first starts following their recent moves to the club. And the introduction of Andy Halliday and Michael O’Halloran at half-time following their loan spells away from Ibrox was another positive for the gaffer to reflect on post-match. Atlético started the match brightly and there was an early scare for the Light Blues when Ralph skipped past Jak Alnwick on the left channel with the goalkeeper sprinting to the edge of his box but failing to make a challenge. Thankfully, the number 23 failed to produce a cross and the Rangers defence was able to clear. On 13 minutes the Brazilians again showed their attacking flair and pace when the ball was slipped in behind the Gers backline but Thalis’ low right-foot shot went across Alnwick and clattered off the post. In the next passage of play Rangers’ threat in the last third was highlighted when Alfredo Morelos passed the ball cleverly to Atakayi but the youngster’s shot was brilliantly blocked. It was proving to be an interesting contest and with 19 minutes on the clock Alnwick had to be at his very best to deny Atlético striker Pablo. The number nine sprinted through on goal after an error from Dalcio but Alnwick was there to make a terrific stop. On the half-hour mark Rangers then took the direct approach with James Tavernier firing a long diagonal to Morelos who headed down for Niko Kranjcar who had made a late run into the box. The Croatian playmaker stretched his right leg but Atlético goalkeeper Cleiton was quick to grab the ball off his toe. The Rangers fans behind Alnwick’s goal were clearly enjoying the first-half action and Murty must have been pleased with the performances from new boys Murphy and Goss. Both saw a lot of the ball in the first forty-five with the latter controlling the tempo of the game from the holding midfield berth and spraying passes about with his left boot. Murphy meanwhile was energetic on the left wing and showed a desire to take on his marker down the line or by cutting inside at every opportunity. 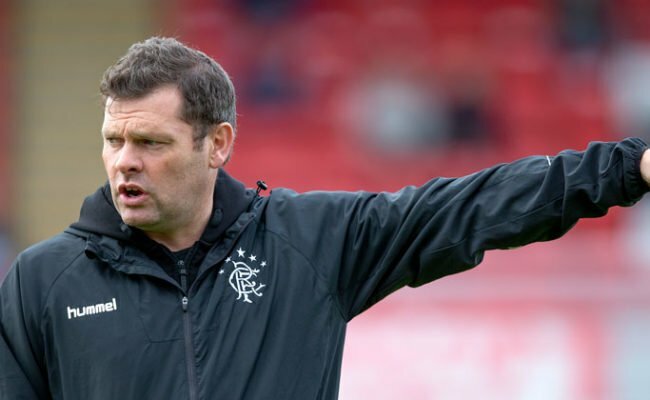 With the game goalless at the break Murty changed all of his outfield players for the start of the second half with Lee Hodson, David Bates, Fabio Cardoso and Declan John in defence. 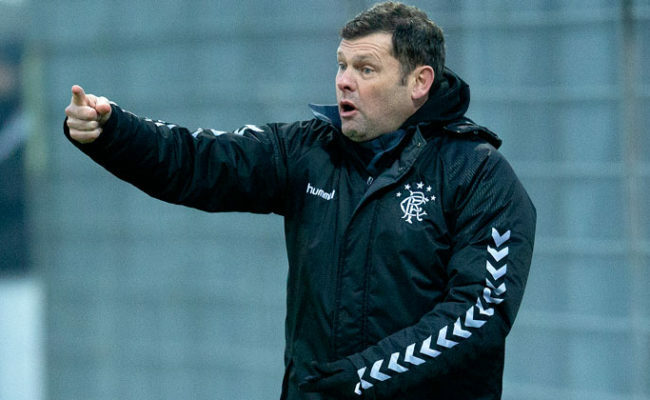 Jamie Barjonas and Andy Halliday sat deeper in midfield with Daniel Candeias, Josh Windass and Michael O’Halloran providing support to lone striker Eduardo Herrera. While Atlético started the first period positively it was Rangers who came out the traps quickly this time. After just two minutes of play Candeias did well to cut in from the right to find Windass and his drive from a tight angle was too powerful for Cleiton who could only parry it out for a corner at his near post. Rangers made their final substitution on the hour mark with Liam Kelly replacing Alnwick between the posts and three minutes later Halliday came close to breaking the deadlock when his crisp shot from Herrera’s cut back flew past the far post. On 68 minutes the opening goal finally arrived and it was a superb finish from Windass which beat Cleiton. Candeias, playing on the left at this point, crossed low into the danger area and Herrera touched the ball back to Windass who curled the ball around a defender and into the opposite bottom corner of the net, clipping the post on the way. The Rangers fans behind the goal got the perfect view of the number 20’s moment of magic and with nine minutes left Windass almost made it two-nil when he fizzed a great shot across goal but this time it was a yard off target. With Atlético struggling to create chances of their own in the second period Michael O’Halloran then used his blistering pace to get in a crossing position on the right wing. His delivery was good but it went across goal with no takers. Atlético did have one opportunity right at the death which went wide and despite throwing players forward in the six minutes of injury time, it wasn’t to be for the Brazilians who were second best to Rangers on the night. For more tournament info and standings click here.